This section is for new ODIN customers only. 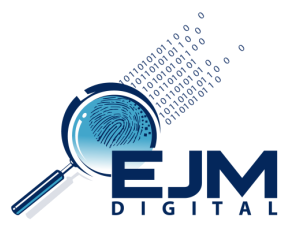 For more information regarding ODIN or any other EJM DIGITAL products, contact us. This is a line officer from your agency who will be using the officer app to conduct field activities and the ODIN web app while in the office to manage offenders. This email address is the username of the officer, please make sure it is spelled correctly. This address is used in ODIN to pre-populate reports as well as to tell offenders using the ODIN offender app where to report. This is your partner from an adjoining agency. If you are a Sheriff or Police, this is your Probation or Parole Officer or Agent partner. Or vice versa. Mobile number is used to receive encrypted ODIN messages and for communication within ODIN. Email address is the user's login. Please double check spelling to avoid errors. This address is used in the ODIN offender app so offenders can report with turn by turn location directions. GPS ping allows the officer to "Ping" the location of an offender's phone, at any time, covertly, without the offender's knowledge. It is only used with the ODIN Offender application.